The beginning of March starts with an abundance of wine tastings for those of us in the trade. Busy days rushing from one tasting to the next armed with a tasting notebook and camera result in my head spinning while I pour over my notes at the end of the day. 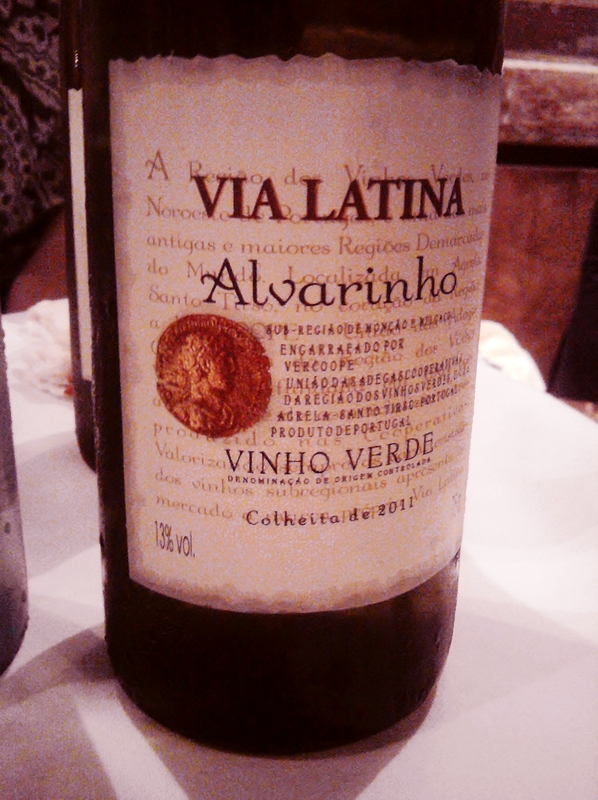 ‘Be Spontaneous’ on yesterdays line up was dedicated to the light, fresh wines of NW Portugal’s Vinho Verde region. With unseasonably warm temperatures I decided to walk downtown to Saxon and Parole where this tasting was hosted to soak up the sunshine. On my way to the Bowery I noticed signs of warmer days to come. City dwellers already in tank tops, buds on the occasional tree and a crazy guy in tied dyed bike shorts with a lime green goatee marked the beginning of my Springtime in Gotham. Strolling along I couldn’t help thinking, could there possibly be a better way to start the day than Portugal’s Springtime in a glass, Vinho Verde? Hell no, this event was chock full of fabulously fun, tasty, pocket friendly wines. Be Spontaneous’ introduced the new vintage from 19 of the best producers making a range of white, rose, red and single varietal wines produced from Alvarinho, known as Albarino in its native country Spain. Many of you may have tried the light, slightly fizzy, fun white blends made in this region. The following dominate indigenous grapes each add different flavor aspects to the final blend. Alvarinho is the most tropical, most celebrated grape of Vinho Verde; it’s especially popular in Monção and Melgaço in the north making a single varietal wine. Avesso tends to be fuller with notes of orange, peach and raw almonds. Azal is highest in acidity; grow mainly inland as it needs more sunshine to ripen. Loureiro known for its fresh floral notes, grown nearer the sea. Arinto used for its structure and more assertive flavor. Trajadura has the lowest acid and a rounder profile. With prices starting at $4-5 dollars in the NY market you can’t help but to pick up a bottle of this Spring and summer sipper! In June the first ever Vinho Verde passport program is taking place in NYC wine shops, bars and restaurants. Special tastings and by the glass promotions will be offered throughout the city with lots of opportunities to cool off with this zippy, citrusy treat. Stay tuned for complete listing here. I enjo yed many of the blends but my favorite wines of the day where the single varietal wines made from Alvarinho. Produced in the sub region of Moncao with a slightly higher alcohol, complexity and fresh tropical flavors they where a bit drier in style with a long lean finish. While a different style than their Spanish counterparts in Rais Biaxas these wines where exceptionally delicious. Don’t wait till June when the soaring temps rise. Get outside, pick up a few of these great wines at your local wine shop and have a picnic in the park.